Wallpapering dates back to 1400s and only few privileged wealthy families used it to decorate their homes back then. But in the US, wallpapering was more popular in 1960s and 1970s. Today, due to many reasons it is coming back. It is becoming a part of modern designs. Add a single color to a space instead of painting the whole wall. It adds geometric or other patterns. Add texture to a wall. Give new depth to a restoration projects. It can add faux painting effect without the paint. 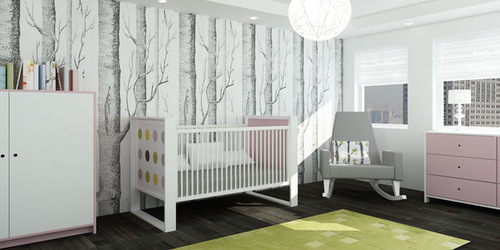 Due to use of fibers in wallpaper, it adds a natural feeling. It can simulate wood and other material without the real material. Absorb sounds well compared to paint. Add another layer of insulation to your walls. It makes special projects such as glow in the dark effects much easier. Advances in modern printing technology take wallpapering into a whole new level with regard to color, texture and design. The Internet is a good place to start your research to find out more about wallpaper. Using programs such as Pinterest and Instagram, you can experience the impact of wallpaper before you step into any home improvement store.